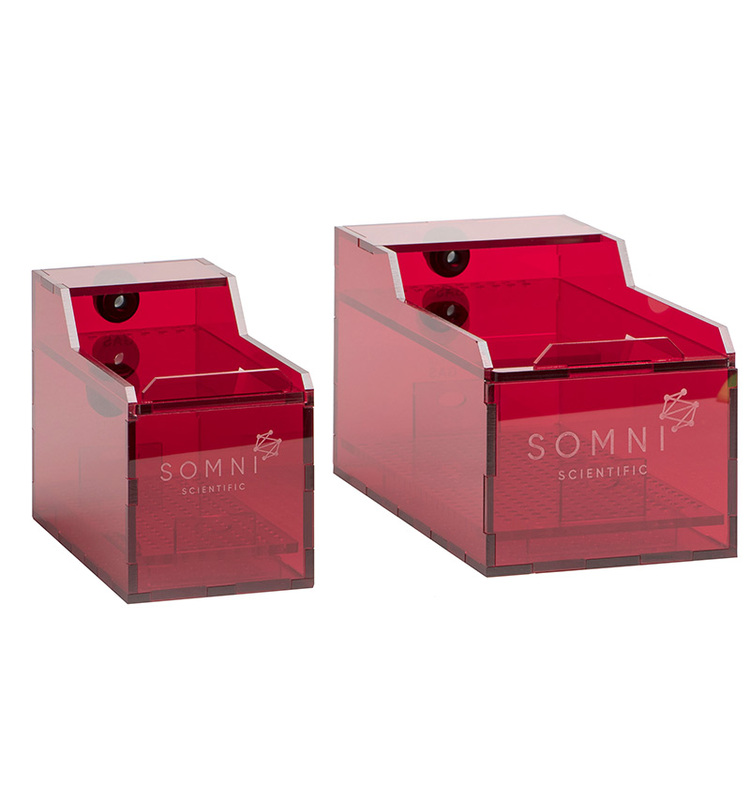 The SOMNI EPS-3 Exposure Prevention System was designed to effectively remove waste anesthetic gases from the anesthesia work area and prevent exposure to the operator. 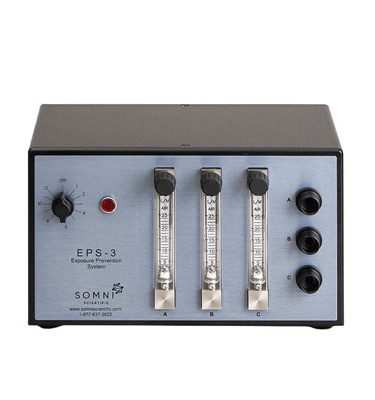 The SOMNI EPS-3 Exposure Prevention System is a self-contained 3 Station Flowmeter Controlled Vacuum System for Actively Scavenging Waste Anesthetic Gas (WAG). 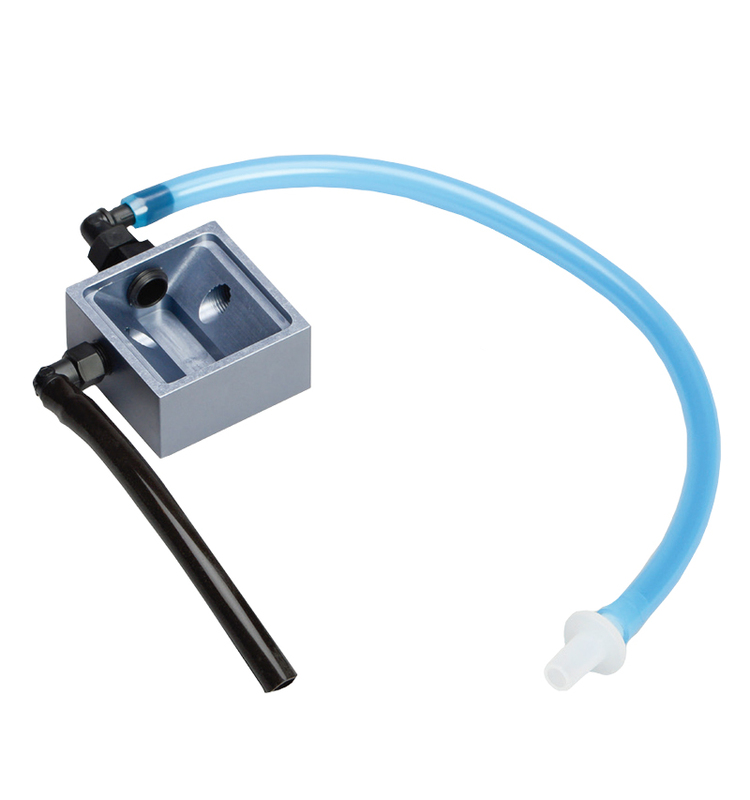 Designed with a linear vacuum pump that produces up to 45 LPM of negative flow, it can be used where active vacuum is not available to safely remove anesthetic waste gas. 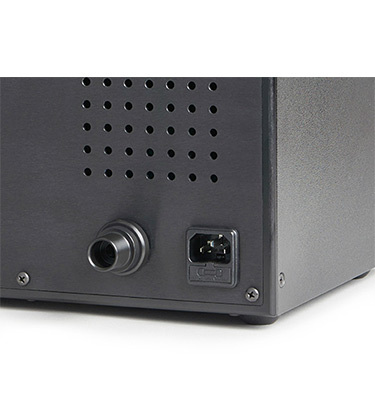 The EPS-3 also includes an automatic off feature (WG-15001 model only) that shuts the unit down after a selectable period to save power and prolong the life of the pump. Each of the three scavenging ports include a stopcock near the device to allow independent scavenging flow and can be turned off when not in use without the need to change flowmeter settings. 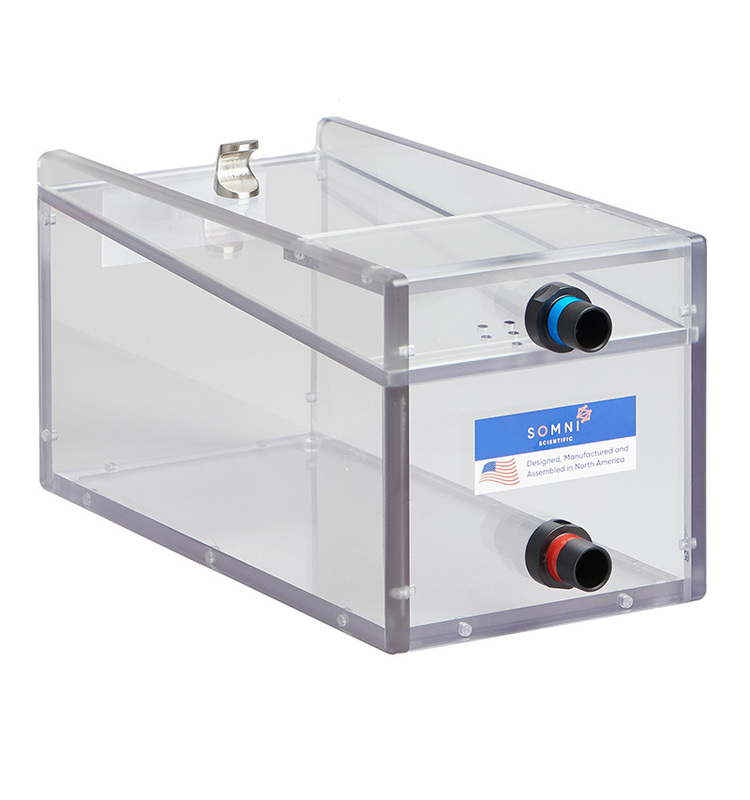 Evacuate EPS-3 to SOMNI W.A.G filter (WG-15003) or any non-recirculating hood or vent appropriate for high volume. 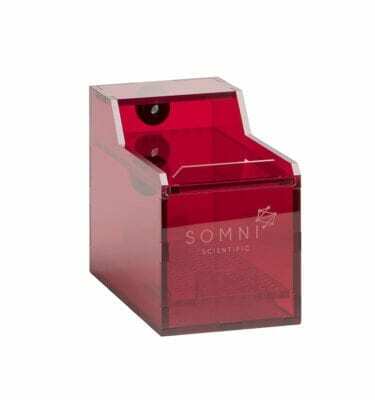 The SOMNI EPS-3 is also available in a non-pump version(WG-15002) that can be used as a portable scavenging system in conjunction with an in-house active vacuum system. 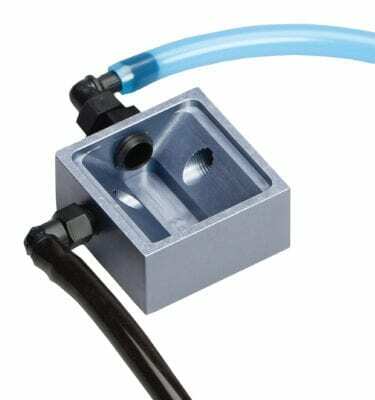 This non-pump version acts as an interface valve for facilities that have and can use their own in-house vacuum systems. This gives the user the ability to attenuate their own in-house vacuum to exact specifications. Warning! Only use accessories appropriate for use with active scavenging systems. Failure to use appropriate accessories can result in animal injury, poor anesthetic delivery and waste gas exposure. See below accessories. Note! 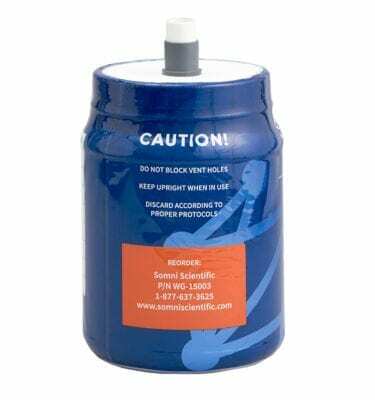 Only use hooded style induction chambers, non-sealing nosecones and other devices specifically designed for use with active scavenging systems. See below accessories. Note! 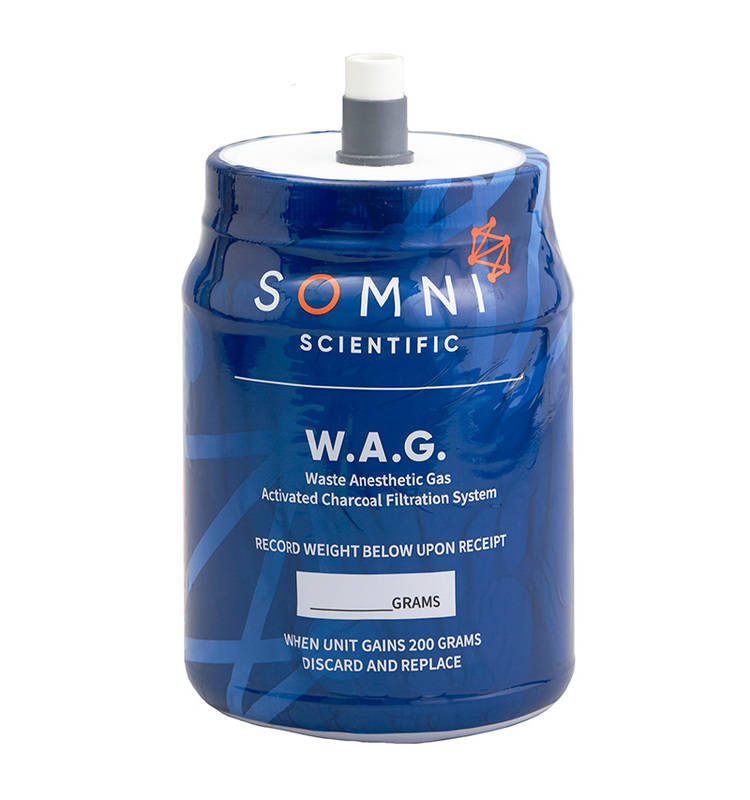 The waste anesthetic gas that is discharged from the SOMNI EPS-3 can only be captured using a high capacity (200+ grams absorbed) passive waste gas filter. Smaller capacity canisters may allow waste gas to pass through into the environment. See below filter.